The perfect trash can for RVs , this collapsible holder saves space. This trash can has instant assembly for use indoors and outdoors. This trash can folds into a compact 14" x 11" 1/2" x 2" while traveling. 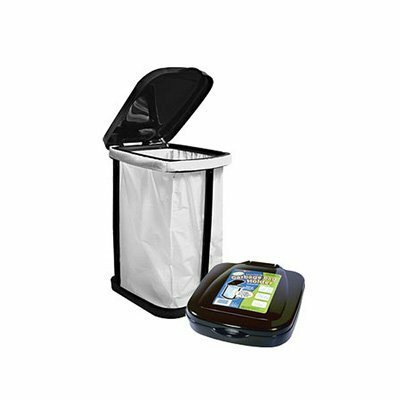 This trash can sets up to a 13 gallon or larger kitchen trash bag.